Our Vision: New Zealanders fully participating in the digital world. 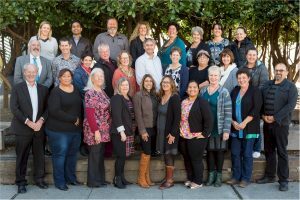 Our Mission: To provide leadership and work with communities to deliver programmes that contribute to New Zealanders’ digital literacy, skills and inclusion. The 20/20 Trust addresses issues resulting from the increasing use of information and communication technologies (ICTs), initiating, proving and delivering community based solutions. 20/20 champions the widespread adoption of solutions that prove worthwhile; some become mainstream, some are taken up by other Trusts, some are managed by 20/20 and some prove unsustainable. Our five strategic goals for digital literacy, skills and inclusion. Press and media resources – press contacts, background information, logos etc. Awards and recognition received by 20/20 and its programmes. Reports & documents include our Trust Deed and recent Annual Reports. Our History – the full story of the first 15 years of the 20/20 Trust, and a summary of our major projects. The 20/20 Communications Trust is registered Charitable Trust CC24748.